If Mayor David Condon gets his way, Spokane will hire another 10 police officers next year, growing the city’s police force by nearly 20 percent since he became mayor. Condon unveiled some of his 2019 budget proposals in a news conference Tuesday, including his $1 million plan to hire 10 more officers. He’s also pushing the Spokane City Council to come up with $1 million to keep 48 firefighters currently paid for through grants that expire later next year. The mayor’s plan doesn’t suggest how to pay for the budget boosts, but he will develop a funding proposal before his 2019 budget is formally submitted to the City Council by Nov. 1, said city spokeswoman Marlene Feist. Condon’s police proposal would grow the Spokane Police Department from 328 officers to 338. The department has grown by 42 officers since Condon first took office in 2012. Spokane police Chief Craig Meidl said the 10 new officers would allow him to increase resources devoted to felony property crime investigations as well as add an officer to the domestic violence unit. The Spokane Fire Department was awarded a $9 million Federal Emergency Management Agency grant in 2016, which has paid for 48 new firefighters. But the money begins to run out in September 2019 and the city needs to find $1 million to keep them employed all of next year. The funding problem gets bigger for 2020, when the city will need to cover the full $4 million to keep the firefighters. Spokane Fire Department Chief Brian Schaeffer said the new firefighters allowed the department to open Fire Station 5 in Latah Valley and boost service from its Alternative Response Units, which respond to medical calls, allowing larger engines to remain available for bigger emergencies. “It’s really given us the the flexibility to respond to the public’s growing need in a nontraditional fashion,” Schaeffer said. Gavin Cooley, Spokane’s chief financial officer, said the city would need to invest $4 million a year to keep those fire department employees starting in 2020. Condon said his administration was committed to funding the firefighters hired through the federal grant with a one-time payment, but would need to study the program before making decisions about the following year, which will be determined in 2020’s budget. Marlene Feist, city spokeswoman, said she does not believe the mayor is proposing new taxes to pay for new police officers or existing firefighters. She said the mayor’s office would have to review the effectiveness of the new equipment and methods used by firefighters hired through the federal grant before making a decision in the 2020 budget. The new investments included in the mayor’s 2019 proposal would put the city about $3.8 million over budget next fiscal year, an issue Feist said will be resolved before the City Council approves the 2019 budget. City Councilman Breean Beggs said big decisions like maintaining grant-funded firefighters are urgent. This year’s budget is still in its early stages, he said, but he also hoped the mayor will consider creative ways to permanently fund public safety positions, instead of relying on temporary fixes until he is out of office. Beggs suggested a longer-term plan to address public safety costs, such as a property tax increase, instead of relying on one-time payments or reserve funding. City Councilwoman Candace Mumm said Spokane’s economy has been doing well in the past few years, allowing the city to replenish its reserves. Mumm said she would like to save the reserves for a rainy day and find other ways to pay for public safety increases or address homelessness in Spokane. She said it’s not unusual for a gap to exist between the mayor’s proposal and available funds. City Councilwoman Lori Kinnear, who attended Tuesday’s news conference, said there were “no surprises” and that now the difficult work of finding the money for other priorities would begin. “What you don’t want to do is pit different departments against each other,” she said. The councilwoman said the mayor’s plan to use $1 million in what is called “one-time money” to continue to pay the salaries of firefighters hired through the grant was “a little concerning.” Such funds are not continuing sources of revenue that can be counted on in future budgets. But she felt confident that lawmakers and the mayor’s office would be able to find the money as they finalize the budget for 2019 over the next three months. Kinnear would not commit to a possible tax increase to pay for the firefighters. Feist said the mayor has not taken a position on a tax increase and the funding for firefighters paid through the federal grant will be addressed in the 2020 budget. Reporter Kip Hill contributed to this report. 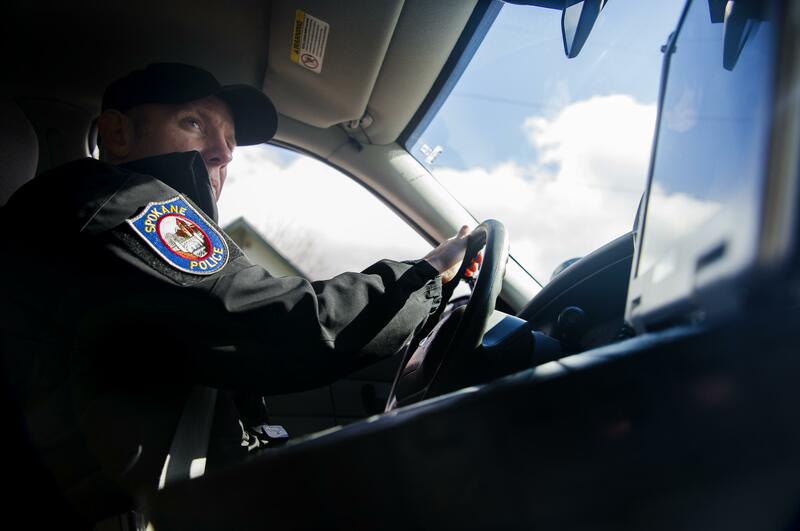 Editor’s note: Mayor David Condon will develop a plan to pay for the new police officers and to maintain firefighters currently funded by a federal grant before his proposed budget is formally submitted to the Spokane City Council by Nov. 1. Incorrect information in this article related to Condon’s proposal to pay for the police was corrected on Wednesday, Sept. 4, 2018. Published: Sept. 5, 2018, 5 a.m. Updated: Sept. 5, 2018, 2:03 p.m.